Hamiltonian is pleased to present two new bodies of work by artists Rob Hackett and Kyle Tata. The exhibitions will run concurrently from January 9 – February 13, 2016 with an opening reception on Saturday, January 9 from 7-9 pm. 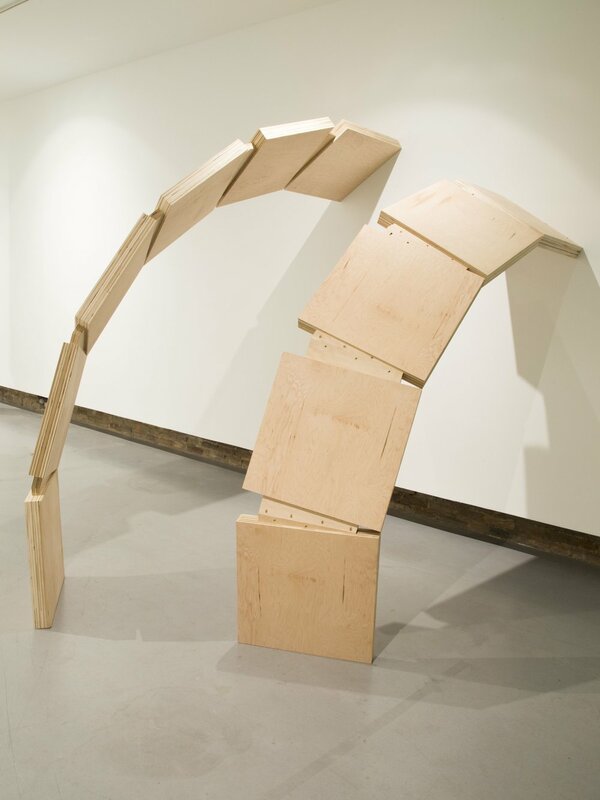 Sculptor Rob Hackett explores the subtle complexities of space, architecture, and the body in Mode(s). Through sculptural installations, Hackett deploys formally restrained and geometrically discrete motifs to consider the visual and corporeal reception of our physical surroundings. 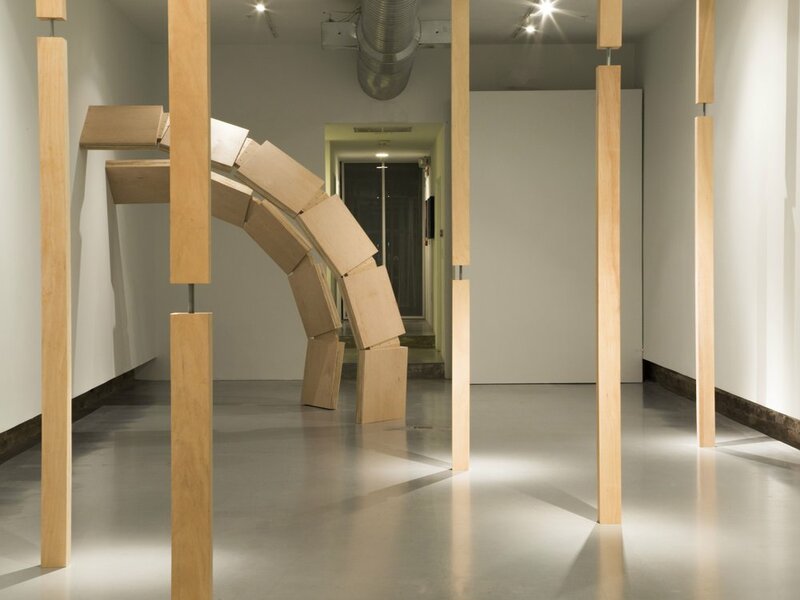 In turn, the works spur a re-consideration of our constructed environment through relatively simple yet familiar shapes, materials, and means. Through his newest series of black-and-white photographs, Asleep in the Factory, Kyle Tata collages scenes of darkroom contrivances, stock image booklets, and invention patents to create fictive workspaces filled to capacity with layers of clutter. Tata’s isolation and examination of analog photography’s pedagogical eccentricities – obsessively detailed diagrams from darkroom manuals, sexually fraught stock imagery - convey a human presence while proposing a re-evaluation of pictorial logic altogether. Hackett received his MFA from the University of Maryland and has been featured in recent exhibitions at museums and galleries including Hillyer Art Space, Washington, DC (2015); VisArts, Rockville, MD (2015); Grounds for Sculpture, Hamilton, NJ (2015); and The Andy Warhol Museum, Pittsburgh, PA (2013). He lives and works in Washington, DC. Tata received his BFA from the Maryland Institute College of Art and has written for numerous art blogs. His work has been featured at galleries and institutions including Spudnik Press & Gallery, Chicago, IL (2014); The Walters Art Museum, Baltimore, MD (2014); Current Gallery, Baltimore, MD (2013); and Furthermore Gallery, Washington, DC (2013). Tata was a 2014 Walter & Janet Sondheim Artscape Prize Finalist and is currently on the faculty at the Baltimore School for the Arts.